As a complement to our Assiniboine language information, here is our collection of indexed links about the Assiniboine tribe and their society. Please note that Assiniboines and other American Indians are living people with a present and a future as well as a past. Assiniboine history is interesting and important, but the Assiniboine Indians are still here today, too, and we try to feature modern writers as well as traditional folklore, contemporary art as well as museum pieces, and the life and struggles of today as well as the tragedies of yesterday. Suggestions for new links are always welcome. Information and language learning materials from the Assiniboine Indian language. Questions and answers about Assiniboine culture. Collection of Assiniboine Indian legends and folktales. Information about the Stoney/Assiniboine First Nation of Alberta. Official website for the Fort Peck Assiniboine and Sioux Tribes. Tribal homepage of the Fort Belknap Assiniboine and Gros Ventre tribes. Homepage of the tribal college at Fort Belknap. Information on the Assiniboine nations from the Montana-Wyoming Tribal Leaders Council. Government information on the Assiniboine tribes of Montana. Dedicated to the Cree, Dene, Ojibway, Dakota, and Assiniboine cultures of Saskatchewan. Excellent book on the history and culture of the Assiniboine Indians, written by tribal members. 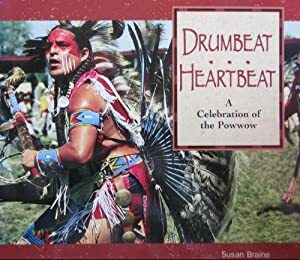 Comprehensive history book on the Fort Peck tribes from a Native perspective. Classic ethnography of the Assiniboine tribe. Beautiful book of poems by the Assiniboine poet Minerva Allen. A nice collection of Nakota legends retold by Assiniboine elder Jerome Fourstar. Another good collection of Assiniboine legends. Older anthropology texts about the Assiniboine tribe. Evolving list of books about Assiniboines and American Indians in general. Tribal maps showing the original lands of the Assiniboine Indians and their neighbors. Historical maps and articles about the Assiniboine-Sioux, Mandan, Hidatsa, and other Plains Indian tribes. Curtis' early 20th-century ethnography of the Assiniboine Indians. History of the Assiniboine tribe in Canada. Ethnography of the Nakota and other Siouan nations. Brief overview of the Assiniboine culture. Articles on Nakoda Indian society, customs and traditions, and spiritual life. Pictures of Assiniboine clothing and hairstyles. Online exhibit of Stoney and Assiniboine artifacts from the Canadian Museum of Civilization. Assiniboine Indian writers, their lives and work. Text of historical Assiniboine treaties. Timeline and historical articles about the Assiniboine and Sioux tribes of eastern Montana. Historical photograph of an Assiniboine Indian leader. Information on the two Assiniboine reservations of Montana. Messageboard for Assiniboine Indian descendants. Direction for those seeking Assiniboine and other American Indian ancestors. Encyclopedia articles on the Assiniboine tribe. Information about the Assiniboine tribe in Spanish. Would you like to sponsor our Assiniboine work?